The Acer Aspire E 15 E5-576G-5762 featured in this review is probably one of the best all-round laptops available in 2018, so let’s find out what makes of it a great choice among mid-range laptops in 2018. Do you want an affordable laptop with a dedicated GPU and using the latest CPU technology? Check below our Acer Aspire E5-576G-5762 review and discover one of the best releases available from this Taiwanese brand. As you probably already know, the Acer Aspire is one of the best laptop series currently available. 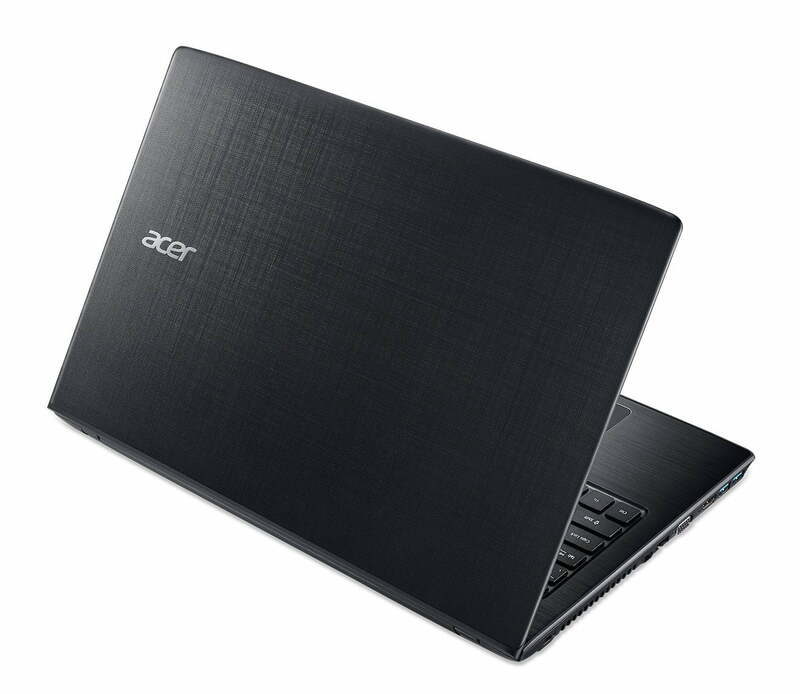 This specific model, the E5-576G-5762 is one of the latest Acer releases and a very powerful laptop. It features the all new i5-8250U processor, part of the 8th generation of Intel chips. It also has a dedicated GPU, which is a must if you are a gamer. The GeForce MX150 is one of the most modern entry level dedicated video cards, and has a great performance on most games released to date. This combination of CPU and GPU allow this laptop to have a great battery life. Finally its perfect combination of 8 GB DDR4 RAM and a SSD contribute a lot to this Acer Aspire performance. All this powerful hardware has a great video output, as its 15.6 inch Full HD displays offers crisp and sharp image quality. Let’s start with its design, which is in fact pretty traditional in most Acer Aspire laptops. This specific model has a full black chassis, which is quite sturdy. Its materials also feel great, but it is just what you can expect from any laptop in its price category. Its 15.6 display settings are great, as it features an IPS panel and Full HD (1920 x 1080 pixels) resolution. This display is great if you like to watch stream services as well as play games on your computer. The hardware is probably the most appealing aspect of this laptop, as it has some recently released components. As mentioned above, its processor and GPU have some of the latest technologies presented by Intel and NVIDIA respectively. Starting from its processor, the Core i5-8250U is part of the 8th generation of Intel chips. The 8th generation of Intel chips is the first one to have more than one micro-architecture in the same generation, and this one uses the Kaby Lake R technology. The i5-8250U is a powerful quad core processor, with hyper-threading. It has a base frequency of 1.60 GHz and a maximum turbo of 3.40 GHz. This processor is high energy efficient, resulting in a battery duration of up to 15 hours according to the manufacturer. Its new NVIDIA GPU is also another highlight of this laptop. The GeForce MX150 is an entry-level dedicated GPU for mobile devices, and it offers a great performance if you like games. Despite having a benchmark considerably lower than the GTX 1050, it still run most games released to date decently. Now let’s analyze its storage and capacity and RAM. In fact this laptop has great specs both in terms of RAM and storage, and considering its price, it definitely offers a great value for the money. Starting from its storage, its 256 GB SSD is extremely fast, and it boots Windows 10 fast and seamlessly. However it is important to note that 256 GB might not be enough for some types of users, but you can always rely on the cloud or buy an external SSD. It also features 8 GB RAM, using the DDR4 technology. While this is pretty good and the standard for similarly priced laptops, adding RAM can be a good idea. The Acer Aspire E 15 E5-576G-5762 has a pretty good connectivity. It features 4 USB ports, including 1 USB 3.1 Type C, which is more than enough for most types of users. Its WiFi uses the MU-MIMO technology, which is becoming the standard for all wireless devices recently. And don’t worry if your router is SU-MIMO, the laptop wireless will also work greatly with these type of devices. After our review, we can certainly know that this Acer Aspire is a great laptop for most purposes. 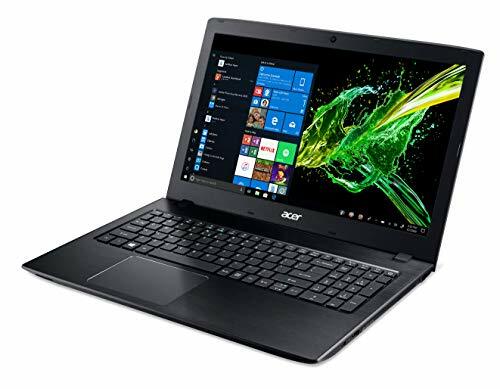 If you work or study with your laptop, this Acer will probably meet all your requirements, as it is currently faster than the average of similarly priced laptops. However, if you want a device to work with extremely heavy software, or a very powerful machine, you may want to consider other options. Finally, you are looking to buy other similarly priced laptops, I recommend checking our post on the best laptops under $700. Do you have an Acer Aspire already? Leave your thoughts or questions in the comment box below.